This workshop will be of interest to companies which move, store and handle freight, transport planners, government officials, consultants and academics. The movement of freight within the UK accounts for roughly 6-7% of the country’s total CO2 emissions. Related logistical activity, such as warehousing and materials handling, adds another 1-2%. 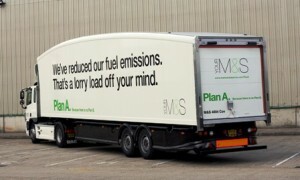 The Freight Transport Association has recently set a target for reducing the carbon intensity of freight deliveries in the UK by 8% by 2015. Before companies can develop strategies for decarbonising their logistics operations, they need to find an accurate and consistent method of carbon measurement. The Department for Transport and DEFRA have recently provided guidance to companies on the carbon footprinting of their freight transport operations. Efforts are also being made at an international level to agree standards for the allocation of CO2 between freight consignments sharing the same vehicle. This workshop will review the issues that need to be resolved when measuring CO2 emissions from freight transport / logistics and examine software tools that can assist the carbon footprinting exercise. It will relate to all freight transport modes and to logistics operations at different geographical scales. Participants will be encouraged to discuss their experiences of carbon auditing in this field. The session will be facilitated by Professor Alan McKinnon, director of the Logistics Research Centre at Heriot-Watt University. Alan has undertaken studies for the UK Commission for Integrated Transport, the UK Committee on Climate Change and the International Transport Forum on greenhouse emissions from freight transport / logistics. He is a member of the Department for Transport’s Low Carbon Supply Chain Steering Group and FTA’s Logistics Carbon Working Group. He will be assisted by Dr. Maja Piecyk who is a specialist in the measurement of CO2 emissions from logistics and who co-authored with Prof McKinnon a report for the European Chemical Industry Council (Cefic) on ways of measuring and reducing CO2 emissions from freight transport.